Our poor tresses take quite the beating. Between moisture-sucking shampoos, scorching styling tools, and braving whipping winds or extreme dryness on a daily basis, there are no shortages of adverse factors abusing our hair and scalp. But according to a study by Dove Hair Care, it’s those searing ceramic styling tools that are causing the most palpable damage. Up to 60 percent of women apply heat styling products – including blow-dryers, straighteners and curling irons – to their hair more than once a week, causing up to 33 percent more damage. Although it’s difficult to strip away years of styl ing abuse on your locks, some of the negative effects associated with drying, damaged hair can be alleviated or reversed with the proper care. While drug store beauty isles and countless infomercials will advertise the latest hair-rejuvenating craze, there’s one kitchen remedy that’s been proven effective for infusing hydration for thousands of years: aloe vera oil for hair. First used by ancient Egyptian women to smooth damaged or coarse tresses, aloe vera oil for hair has been used as a naturally replenishing form of conditioner for thousands of years. Obtained by the maceration of the starchy, thick aloe vera leaves, aloe vera oil for hair is jam-packed with over 100 essential vitamins and nutrients, including vitamins A, D, and B12. The gel-like substance contained within the crevices of the waxy leaf has similar qualities to the composition of keratin, in that the goo contributes to protein creation in hair cells. While the gel’s unique consistency contributes to an overall conditioning effect, it’s aloe vera’s concoction of over 20 amino acids– the building blocks for hair and scalp strengthening – that pack the plant’s biggest punch. Although the benefits associated with applying aloe vera – whether it’s in gel, juice or oil form – to the hair are plentiful, there are a few key bonuses associated with using aloe vera oil for hair to take note of. When condensed to a liquefied, heated oil form, aloe vera has the biggest potential to moisturize hair follicles and promote circulation. 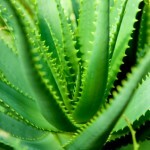 Although gel and juice forms of aloe vera will provide the same kind of nutrient value, it’s the unique consistency and heat associated with aloe vera oil for hair that allows for the deepest hydration penetration. 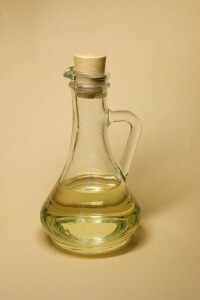 One of the most effective ways that aloe vera oil for hair can be used is when the liquid is combined with various other soothing oils, including soybean, almond, or jajoba. Although aloe vera will provide the bulk of nourishing and protein-building benefits, various other oils will help to contribute to overall texture and smell enhancement. Always massage the oil into the scalp. Although the dense, heavy liquid might seem a bit too intense to penetrate your roots, aloe vera oil for help will help to regulate sebum production in the scalp, contributing to long-term hair health. Always add warmth to your oil. Although aloe vera oil for hair provides a breadth of nutrients on its own, adding heat to the mixture is essential for allowing the nutrients to help penetrate your hair follicles. Understand your hair type. 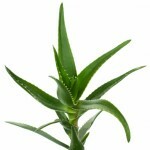 If you’re hair leans on the oilier side, consider using a weekly aloe vera oil for hair treatment. Textured and coarse strands, on the other hand, should consider a bi-weekly application.